Last Saturday on Fremont Lake: A member of Team Bad Dawg starts the kayak leg of the USA Supreme Adventure Race. A week of physical punishment, little sleep, and extreme sports. Friday, Aug. 13, late afternoon: "Mounds of mountaineering, hiking, biking and kayaking gear lie in piles on the lawn beside Lakeside Lodge, and it is not difficult to figure out who it belongs to. Small groups of intense men and women, ages 27 to 47, carefully pack and repack odd bits and pieces of personal equipment. These people are extreme sports athletes possessing sculpted bodies honed by years of training. They are making final preparations for the week-long USA Supreme Adventure Race which starts tomorrow, and ends a week later at Fremont Lake. Six teams are competing in the race this year. Four-member teams sport names such as "Houston" (a bunch of Texans), "Knuckleheads", "Orion", and "Pinnacle". The two member teams, "Bad Dawg," - all male from California - and "Burnin' Daylight" - a mixed gender team from Alaska - are just as well outfitted as the larger teams, and equally intense. Earlier today, the teams participated in mandatory equipment and skills checks. At the pre-race briefing in the evening, the racers are given a few hints about what to expect when the race starts tomorrow. Race organizers have planned the course in complete secrecy. 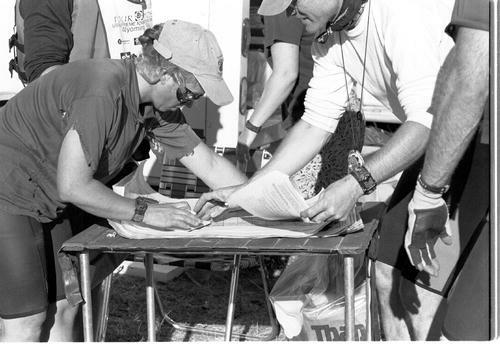 Teams were given only equipment and event lists prior to the start. They have no idea whether they will be hiking, biking, riding horses, kayaking or mountaineering the next day, or where they will be going. As the evening wears on, an independent film crewman asks the racers what they most remember about the race last year, and many recall the exhaustion-induced hallucinations they endured while in Montana. One race veteran recalled seeing thousands of elk emerge from a hillside, where in fact only sagebrush grew. A sinewy competitor from Team Houston vividly recalled talking to a teammate who suddenly disappeared. After this strange experience, he reached out and touched the person he was speaking to in order to make sure they were really there. One lady racer saw her teammate walking a wolf on a leash down the trail. With nerves stretched taut and stomach butterflies fluttering relentlessly, the competitors turned in for the last full night of restless sleep they will have for a week. Mountain Biking through Pinedale on the second leg. Saturday, Aug. 14, 8:30 a.m. The tension is palpable. There is very little conversation or activity. This moment has been planned for weeks, and all equipment and personnel stand at the ready. The racers sit quietly, eyes unfocused, and thoughts turned inward. Twenty competitors anxiously await the signal from race organizers when they will be presented with maps and instructions detailing what the next week holds in store, but the planning and preparation began months ago. Elizabeth Carabarin, 30, and Janet Stadshaug, 41, of Team Pinnacle, both mothers of young children, stuffed themselves for weeks with high calorie, nutrient dense food, trying to gain an additional 10 pounds which may give them the energy reserves they will need to win, or at least finish. All the teams spent the pre-race months training and planning what to take for equipment, food and teammates, while scrounging up family and friends who could take a week off from work and help be their support crew. Elizabeth, a personal trainer in San Jose, California, was able to recruit her mother, Susan, and two of her three children, 15 year old step-son Sean, and 5 year old Ian, for Pinnacle's support crew. All the preparation comes down to this day, the beginning of a week long adventure which will push their strength and endurance to the limits, stretching some friendships to the breaking point, and cementing others in an inexplicable bond. The race begins. Each team scurries to their area in order to solidify the heretofore-nebulous race strategy they have been discussing prior to the start. As one or two team members work on the maps, the others cram equipment, food and Gatorade into waterproof bags for the first leg of the race - an 18 mile, 2-man kayak paddle from Lakeside Lodge to the head of Fremont Lake and back. Rules concerning the use of wetsuits and sprayskirts are shouted, as rapid course calculations and estimates of where the checkpoints will be are figured. Team Knuckleheads gets off to a rapid start. They jump into their kayaks minutes after being given their instructions. Observers speculate they are trying to "psyche out" the competition at the beginning of the race. It doesn't work. By the end of the first leg, Team Houston is hot on their heels. Team Knuckleheads arrives back at Lakeside. 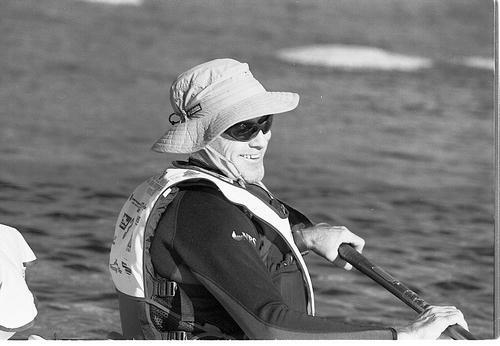 Sporting broad smiles on their faces and cramps in their legs, they unfold themselves from nearly swamped kayaks. The support crew jumps into action, grabbing life vests and provisions out of the kayaks, and shoving food and Gatorade into the mouths of the racers. This is the transition area - or TA - the place where the teams meet up with their support crews and ready themselves for the next leg of their journey (kayaks to mountain bikes in this case). The action at times seems a bit slow, but a careful observer sees each competitor scrambling to get out of the transition area as quickly as possible. Some of the teams had planned on spending no more than 30 minutes in transition, an estimate that was quickly thrown out when confronted with the prospect of removing cold, clammy wetsuits and trying to pull on lycra biking shorts, often with comical results. In order to shave seconds off of the transition times, racers set modesty aside. They strip naked in front of God and country in an effort to save minutes off the time it takes to change. At one point, a race staffer is about to take a picture for the newsletter, when she looks through her viewfinder and sees some of Team Houston's better kept secrets. She lowers her camera, smiling. 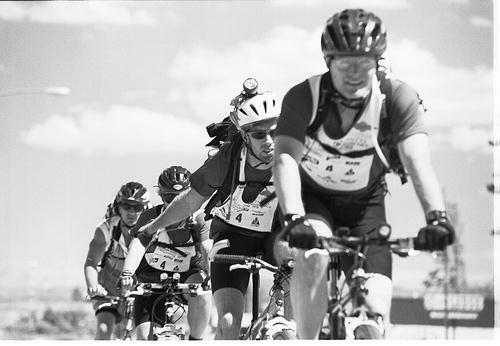 As the teams begin to leave for the next segment of the race, a 65-mile mountain biking leg from Fremont Lake to the Kendall Bridge in the Upper Green, each of their support crews pack up and head to the next TA. Here the support teams will again have a meal ready to be inhaled, and a change of clothes and proper equipment for the next leg of the journey stand at the ready. With any luck at all, the support crews may manage to grab a few minutes sleep before they must wake up and send their exhausted charges down the majestic Green River for a dark, 60 mile midnight kayak cruise on this cold and moonless night. One down, six days to go.